Choosing the disciples. Mark 16:13-35, John 15:16a – “you did not choose me, but I chose you and appointed you.” Jesus accepted anyone who came, but He hand-selected the Twelve. I see this as a sign of a very strong leadership style. Speaking to the Pharisees. Matthew 23:1-36, and others. Jesus’ polemic against the Pharisees in Matthew 23 is unbelievably harsh. There is no wishy-washy, tolerant element in His condemnation of the Pharisees. Driving out the moneychangers. Matthew 21:12-13. This was the first example I thought of. In John 2:13-16, which may be a separate incident, He used a whip. Interestingly, in Matthew, immediately after doing this, the blind and the lame came to Him in the temple, and He healed them. Were they unable to enter the temple before He whipped the moneychangers out of it? If so, although this is definitely an example of strong leadership, He is also modeling humility, by taking it upon Himself to remove a barrier that kept the “unable” and disenfranchised from worshipping. “Get behind me, Satan”. Matthew 16:23. Pretty strong words directed toward the leader of the disciples. Jesus puts him in his place with no ambiguity. The Cucifixion. All the gospels. The demands, but the bravery required. Although I thought of the Cross as an example of modeling humility, the more I thought about it, the more I realized the personal strength required for Jesus to go through with the Cross. Perhaps not an example of strong leadership style, but definitely an example that the Servant was no wimp. Baptism by John. Matthew 3:13-17. Just as He was initiating His public ministry, Jesus willingly submitted to John baptizing Him, modeling humility and obedience for us. The Cana miracle. John 2:1-12. When we read this passage, the story is told in such a way as to imply that Jesus wasn’t planning on beginning His ministry yet, but performed the miracle of turning water into wine because His mother boxed him into a corner. He asks her why she is involving him, and her reply is to tell the servants to do whatever Jesus tells them to do. Instead of continuing to insist that His hour has not yet come, He humbly turns the water into wine. Of course, my Catholic friends in Poland see some much further implications for His submission to His mother (they would probably prefer that I capitalize Mother), but it is hard to avoid seeing His humility toward her. Footwashing. John 13:1-17. After He washes the disciples’ feet, He tells them: “ Now that I, your Lord and Teacher, have washed your feet, you also should wash one another’s feet. I have set you an example that you should do as I have done for you. Very truly I tell you, no servant is greater than his master, nor is a messenger greater than the one who sent him.” This is more than just symbolic. As far as I know, there is no contemporary account of a leader doing such a servile act for his followers. The Cross. Every gospel. This is the ultimate example of humility. He lay down His life, so His followers could live (forever). Can we use Jesus’ example for our own roles in leadership? Near the end of 2011, I wrote about our African friend who had escaped from an unbelievably intolerable existence. That story is here. In short, our friend, Susie (not her real name, of course), had married a Polish mercenary in Liberia. This man, with a history as a wife beater, brought Susie back to Poland, where she lived in his unfinished home, frequently with no heat or electricity, and with a growing pile of garbage in the garage, since he never paid any bills. He continued to beat her and do other awful things to her, but a number of factors made it difficult for her to leave. However, as you can read in the linked story, she was able to leave, and find refuge in our church building. We organized legal assistance for her, a Nigerian friend helped her get her immigration status squared away (her husband had lied to the authorities in her name), and other friends have helped her figure out how to make it on her own. Although life is still difficult for her and her daughter, she feels free, finally, and no longer must live in fear. Which is not to say she isn’t still afraid, sometimes. As with most victims of domestic violence, the simple thought of her husband can bring feelings of dread, and panic. However, we can see growth here, too. Thank God for his healing power. When I first wrote about Susie, her husband had been in jail for 3 months, but then had been released. In Poland, a person can be sent to jail for up to 3 months, while an investigation is conducted, simply on the request of a prosecuting attorney. Now, my American sensibilities think this is unfair – but it didn’t stop us from being very grateful for it! However, after the 3 months were up, he showed up right away at our church building and began harassing Susie again. One time, he came to the church, saw Susie outside, ran up and starting hitting and choking her. Thankfully, our building caretaker saw what was happening and called the police. The police made the daughter (who was 7), tell what her dad had done to her mom, but didn’t arrest the man. These kinds of things continued for about a year, until the prosecuting attorney did some follow-up investigation, talked to us again, as well as the director of the school, and had him put back in prison. Along the way, we have seen God intervene over and over. Both times that he was imprisoned, it came as a surprise – but a welcome one. We have seen how a number of Poles have sacrificed to help her – even risking retaliation from her husband. God has worked through all of these people. And I get a kick out of telling them so, since a few of the most helpful don’t really want all that much to do with God! But God is using them, too! At the same time, though, we have seen some of the uglier parts of the Polish system. Some of the police have treated Susie with disdain, partly because she is black, and a woman, but mostly because she can’t speak Polish. During the first criminal hearing, a translator for Susie was not supplied, and she ended up agreeing to something that would have hurt her case. However, when another friend of ours informed a journalist, and organized some observers from the Helsinki Foundation for Human Rights – somehow all the records from that first hearing had been deleted from the computer. . . This was good for Susie, but certainly raised some questions in our minds! Today, Kaye and I were supposed to be witnesses in the next criminal hearing. Our testimony is pretty significant, since we were the primary witnesses to the beating that preceded the police intervention that finally began the criminal process – after a number of other beatings that the police responded to, but never initiated an investigation. And of course, we have been witnesses to the husband’s continued harassment, stalking, and violence. But – Susie’s husband is in a mental institution, under observation. So, the case has been delayed, again. However, no one from the court told us. No – the court secretary phoned a Polish witness, and asked her to tell us, and Susie. Oh, well. Please keep praying for Susie, and for us – especially Kaye, and for all the people helping Susie – her lawyer, friends from church, a kind lady from Family Services, a nurse who has helped immensely, and of course for Susie’s daughter. McNeal, Reggie. A Work of Heart: Understanding How God Shapes Spiritual Leaders. San Francisco: Jossey-Bass. 2000. 224 pp. Sometimes when and where you read a book means almost as much as what is in the book. Although the what in Work of Heart is pretty significant, the time and place in life when I read it made the book so much more valuable. I was in the middle of my lowest point ever in ministry. Thinking strongly about packing up and “going home” back to America. But we had committed to being part of a Luis Palau evangelism outreach with several other churches in town, and as a part of that, we rented a couple of rooms in the center for a prayer vigil leading up to the campaign. We always had someone there, on duty, while people came and prayed. I needed something to read during my shift – so I picked up this book that my supervisor had given me a few months earlier. Am I glad I did!! Reading this book, during a time like that – a low point, but also a spiritual retreat time – made the message much more meaningful, and allowed me to work through the questions the author includes for personal growth. I had struggled with understanding my call to Poland. I thought I was to come as a church-planter, but church-planting was so tough, and I, at least then, gave up after the first failure. Meanwhile, some elements of planting a church had no appeal for me. I think I had tried to invent a call – but based it more on a need, than on the way God had gifted me. This book was extremely helpful, beyond even the chapter on call, in helping me come to grips with this. It led to a crisis, where I almost left Poland, but we needed to go through that to come to an assurance of God’s leading. Seeing God in the commonplace was probably what helped us survive the crisis we faced. When my ministry partner had an affair, when our church plant fizzled, when the dollar dropped by 50% – all at the same time – some of these reminders here helped us survive, and eventually see God’s leading. As I mentioned, working through these reflection questions was so helpful. I had never done anything like that, and I’m so glad I did. I’m very grateful to my supervisor for giving me this book, and I would have to say it was one of the most positive influences in my life – ever. I’ve shared ideas and questions from this book with Polish leaders that I mentor, as well. Personal follow-up note: I had a class with Dr. McNeal at Columbia. During a break, I told him that this book had saved me in ministry. His response? Not just “thanks” or “praise God.” He said (without really knowing me) “you are worth it.” I got a lot out of the class, but to be honest, it’s those four words that I will remember the longest. McNeal, Reggie. Get a Life! : It Is All About You. Nashville, TN: B&H Publishing Group. 2007. 179 pp. Dr. McNeal is one of my favorite authors, so I’ll be reviewing a few of his books in my blog. To be honest, I am definitely not objectively critical toward his books, and my reviews will undoubtedly reflect that. In each review I’ll share a few insights from each book, and what impact it had on my life. 2. What is really important to me? 3. What is my scorecard? 4. What am I good at? As I read this book, I realized how much passion was missing from my life. I had already struggled with burnout and boredom, and tried to deal with it improperly, instead of dealing with the root issues. I was not living from my strengths. I especially was not maximizing my talents. In an effort to be humble and servant-hearted, I had downplayed some natural leadership gifts. I felt guilty about preaching, and enjoying it, because American missionaries are supposed to have the nationals do that. Of course, multiplying leaders must be my task, and humble servanthood is the heartbeat – but I was expressing both of those values in unnecessary ways. This book was one of the primary prompters for me to go back to seminary (Columbia International University) Just beginning, at age 41, with family and ministry pressures, was a significant victory. Now, God and my professors willing, I’ll finish this spring, and I’m already looking forward to a Ph.D.
Humility, at its most basic biblical definition, means knowing who you are in Christ. Our identity in Christ is the only sufficient tool that helps bring us freedom from arrogance and pride. We understand that in ourselves, we don’t measure up, will never measure up, but in Christ, all things are possible, including submission to God and others. Humility is most often demonstrated through sacrificial love of other people. Radical submission to Christ can be practiced by doing whatever we know Christ wants us to do –whatever the anticipated consequences. We put His desires first, and in so doing, our own desires are, over time, transformed to be like His. Dynamic leadership can be understood through three words: vision, influence and motivation. A dynamic Christian leader casts a big dream vision and helps others discover the big dream vision God has for their lives. She influences and motivates people to move forward in their walk with Christ and personal growth. When we look at all three concepts together, we see an upside-down model of Godly leadership. Instead of a leader who uses and manipulates people to meet his own agenda, we see a leader who lives to serve others, and meet their God-given agenda. Of course, this is the opposite of what we frequently expect from our bosses and CEO’s, and it is only possible for the leader who understands his identity in Christ and realizes the incredible power of submission and service. Philippians 2 provides an excellent picture of the leader-servant, and Paul bases the picture on the example of Christ. Do nothing out of selfish ambition or vain conceit, but in humility consider others better than yourselves. . .Your attitude should be the same as that of Christ Jesus: Who, being in very nature God, did not consider equality with God something to be grasped, but made himself nothing, taking the very nature of a servant, being made in human likeness. And being found in appearance as a man, he humbled himself and became obedient to death—even death on a cross! (Phil. 2:3,5-8). If we look more closely at Jesus’ teaching and example, we can see that Jesus’ ministry was founded on helping others achieve success (John 15:15-16). If our Creator, Lord and King can humble Himself to be one of us, call us “friend,” die for us, and take on the nature of a servant – I have a hard time coming up with reasons why I shouldn’t have a similar attitude. Paul also taught and practiced a similar form of leadership. In 1 Thessalonians 2, he emphasizes how he was not a burden to the Thessalonians, but instead was gentle, like a mother caring for her children. In Galatians, he encourages us to “bear one another’s burdens.” And of course, we already saw in Philippians how Paul encouraged us, on the basis of Christ’s example, to have a humble, servant attitude. In 1 Peter 5, the apostle Peter also highlights the need for elders to be “eager to serve; not lording it over those entrusted to them.” When Peter uses that last phrase, he is harkening back to Jesus’ teaching in Matthew 20:25-28, where Jesus says that the one who wants to be great must first be a servant – just as Jesus himself came to serve, not to be served. James, Sam. Servant on the Edge of History. Garland, Texas: Hannibal Books, 2005. 174 pp. Sam James has been serving in missions since 1962, in Hong Kong, Vietnam, Taiwan, Europe, the Middle East and the United States. He has served as a church planter, seminary director, regional leader and senior leader of a large mission organization. He has directed leadership development for that organization and been in involved in crisis intervention for other missionaries. After retiring from the staff of his organization, he went back to his first place of long-term ministry, Vietnam. Servant on the Edge of History, Sam’s first book, is about his missionary service in Vietnam, from 1962 to 1975. Even a casual student of American history will recognize these years as the height of American involvement in the Vietnamese civil war, and can imagine some of the trials Sam and his family faced. Sam writes with a special focus on some of those trials and the intimate, personal lessons he learned – and that others can learn vicariously. He includes some thoughts on methodology, but he really focuses on spiritual, heart lessons from his experiences. The first and last chapters are set in 1989, when Sam returns to Vietnam to visit. He meets some of the students he left in 1975, and is able to see how God has used them over the fourteen very difficult years under Communist authorities after the Americans fled, and Saigon fell. The other sixteen chapters tell about Sam and his family in Vietnam, from their arrival to their last frightening flight out of Saigon, as it fell to the Viet Cong. There are stories that show how Sam must wrestle with his call – to be a church planter and trainer, while faced with human suffering all around. At one point, he decides to go back to the United States to get a medical degree, so he can help alleviate the physical suffering. However, he quickly realizes that God has a unique role for him, as a spiritual leader and teacher who could help alleviate spiritual suffering, as well. Other stories deal with ethical struggles Sam has to face – from the expectation to pay a bribe to the dilemma over whether to have a gun in the house while the Viet Cong were raiding his village during the Tet offensive. Sam also openly talks of his feelings of failure, when someone he was witnessing to for quite a while died in a fire before he could know whether she accepted Christ. He also discusses his patriotism, having served in the Navy during the Korean War, and how this sometimes caused dilemmas for a missionary in Vietnam. The desire to represent the Kingdom of Heaven and the Prince of Peace was most important, but the temptation to help the American soldiers, even the CIA, to help prevent more deaths of American servicemen was very strong. Frequently, Sam’s dilemmas and subsequent learning experiences take place when his back is against the wall, and his strength is completely gone. Not only does God intervene, but Sam grows and learns. For aspiring missionaries who read this book, that lesson alone is worth the price of the book. At the end of each chapter, Sam includes discussion questions about the lessons he learned, or dilemma he faced. The questions are less than a page, but they require a significant amount of reflection, based on what Sam has shared. However, the questions turn the book from a memoir into a learning exercise. The questions could be well used for team-building, or for a missionary couple to discuss their potential responses, before a situation arises that calls for an unprepared response. I did not reflect through all of the questions – some I have faced already in ministry, and some probably will never be an issue. However, I definitely see the value of writing a memoir in this fashion. By including the questions, Sam shows his heart as a trainer, and developer of missionaries. The questions do sometimes read as an afterthought, however. The best example of this point is that nearly every reflection begins with the word “dilemma.” Perhaps it’s a nit-picky point, but Sam could have found some other synonyms. The stories are amazing to read. I grew up on stories of Vietnam told by men my dad’s age who served there, and for the first time it occurred to me that there were also missionaries – American – who shared the gospel, and even suffered for Christ during the war. Instead of hearing my Ranger friend talk about killing Viet Cong, I was able to read about Sam and his miraculous escape from a Viet Cong ambush, or how he was able to see a committed Communist political officer come to Christ, and become a new creature. My dad, who thankfully spent his military service in Germany, but lost half his classmates to the war, would probably enjoy reading Sam’s book – but so would my teenage sons. It was an interesting exercise to think about why Sam included the stories he did, and especially why he included the questions he did. The choices may say less about Sam, and more about his intended audience. One example is when he asks if a missionary should appeal to more wealthy people in America and other countries to help provide funds for a house church. Another example occurs when he asks if there is a circumstance in which loyalty to one’s country commands an equal priority with loyalty to Christ. To some readers, those questions may seem almost rhetorical (No), but perhaps they are real dilemmas for the majority of people who join the organization where Sam spent so many years as a leader and trainer. Sam mentions this organization very frequently – maybe a little too much, although that’s a hard judgment to make. If I worked for the same organization, I probably wouldn’t think Sam had written too much. Sam’s conservative theological perspective is evident, but he doesn’t spend much time talking about theology, or even that much methodology, so it isn’t an issue. Sam does discuss methodology some, but he is involved both in an established church and seminary, and also in a couple of house churches. In chapter thirteen he talks more about a house church methodology, but his focus is more on the sacrifice that a couple of families make in order to have a fellowship in their homes. It’s evident throughout the book that Sam’s primary goal is to teach new missionaries, or those interested in missions. His stories are personal, transparent, and alive. The reflection questions are appropriate and helpful. Perhaps the biggest drawback of the book is that most of the stories take place up until 1975, but Sam didn’t write his book until 2005. Unfortunately, the thirty-year gap makes the events seem like history, rather than contemporary, and may make the book less attractive for current readers. Felicity Dale received her medical training from Bart’s Hospital in London. After graduation, she worked as a family doctor in London’s East End. She and her husband, Tony, also a medical doctor, were involved in the United Kingdom with house churches, and with a ministry called Christians in the Caring Professions (CiCP). When they moved to Texas with their four children, they attempted to continue CiCP in the United States, and work through a traditional church. However, they continued to feel a strong pull toward simple churches, and, after several years, once again began to lead house churches, eventually beginning to train simple church planters. They have founded a magazine, House2House and Felicity has written three other books focused on simple church. Felicity subtitled her book “Stories of real-life men and women SIMPLY BEING THE CHURCH.” The primary content of her book is just that – stories. She uses these true stories to teach lessons about simple churches, demonstrate methodology and philosophy of ministry for simple church leaders, or to motivate her readers to also get engaged in a simple church. In the second chapter of her book, “What is Church?” she explains that church is “a group of disciples relating together in everyday life; when they get together in His name, Jesus Himself is present” (36). She mentions different terminology – house, simple or organic church – but uses the three terms interchangeably, and says she prefers the term simple church. She regularly contrasts simple church with legacy church – a church that still has a building, programs, staff, regular meetings, and so on. The stories – chapters – do not build on one another. There is no beginning, middle or end. 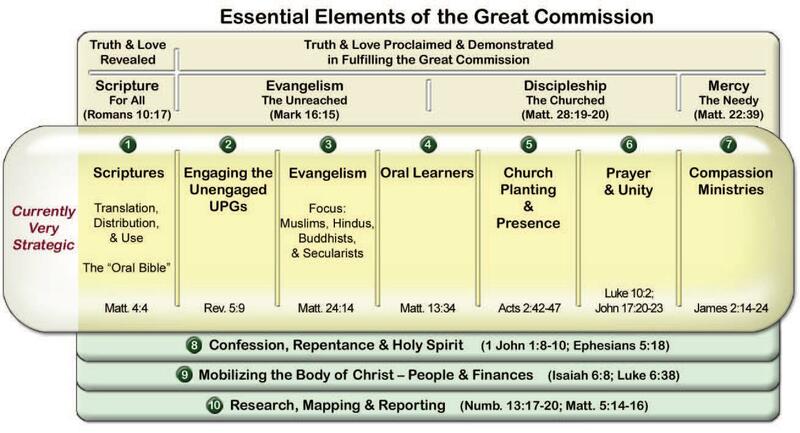 However, the stories that deal more with evangelism and mission are first, then relational aspects, followed by the church serving. Chapter 15 addresses discipleship, and 16, finances. The final two stories are motivational, encouraging everyone to get involved in this advancement of God’s Kingdom. Jesus is to be the head of His church. God’s heart is for the harvest. Churches are meant to multiply. The resources are in the harvest. Simple is reproducible. Complex is not. Practice the priesthood of all believers. Christianity needs to be nonreligious. Felicity finishes by pointing her readers toward more resources where they can find out more about starting their own house churches. She subtly presents the assumption that if these “ordinary” men and women can start simple churches – so can you! And points you in the direction of the first step. The nature of this book – stories – makes it a very pleasant, easy read. The fact that the stories do not build on one another means that you can pick the book up, read a story, think about the concept or lesson presented, walk away, come back to the book a week or month later, and you don’t have to re-read from the beginning to remember what Felicity was trying to say. Each concept is presented individually. The stories themselves are very motivational. Assuming they are true – and there is no reason to think otherwise – God is doing some really wonderful things through small groups of people. Of course, the lack of organization and flow in the book does make it seem like more of a light read than a well-planned and researched treatise on simple church. Undoubtedly, that was Felicity’s goal: a book that anyone could read and would enjoy reading, as a way to motivate “ordinary” people. However, no one will confuse this book with a manual on simple church or a history of the simple church movement. It’s not likely to be the primary text for a church planting class at a seminary, but I can easily see it being read, a chapter a week, by a small group or house church. Although Felicity is not overt with her theological bias, it does come through. The heroes she chose in her stories are almost exclusively Pentecostal/charismatic. She doesn’t list miracles or power encounters in that summary chapter of key concepts – and I was actually surprised that she didn’t. Many other authors in the house church movement and in cell church manuals have emphasized the supernatural work of the Holy Spirit in visible ways. Even non-charismatic missions leaders recognize the necessity of spiritual warfare and the power of God combating the power of the devil. Perhaps she was afraid to offend, or wanted to make sure that non-charismatics would also be excited about simple church. Sometimes, her “ordinary” people were really not so ordinary. I believe Felicity meant ordinary to mean not clergy. In other words, anyone, whether seminary trained or not, professional clergy or not, could start a simple church. And of course, she is right. Anyone can, and frequently non-seminary trained people do it much better than those who think they have all the answers. However, in her stories, several times the “ordinary” person was someone who had been seminary-trained, or had been in professional Christian ministry. By the time of the story, some of them had chosen a different path, but they did have that experience to work from. I mention this point only because it seems to weaken her argument that anyone can do it. I would think she could have included many other stories. Or, perhaps, she wrote this book to church leaders as well. If so, it’s a worthwhile read, but it might be a little frightening for some when Felicity talks about the fact that current church leaders might have to find another job if they go this route! In summary, I think that Felicity achieves her goal of encouraging all of us to consider simple church. Halfway through reading this book, I ordered two others that she has written. However, anyone who has just purchased the book, and is more of a cognitive, logical learner might want to start with chapter 20, then see how those key concepts work out in each story. Of course, for those already involved in a cell group or house church, it would be worthwhile to read the book as a group, talking over each story and the conclusion that Felicity draws from them, seeing if the experience relates with their own, and discussing the biblical principles that Felicity connects to the stories.